Forty four undergraduate students from underrepresented populations in computing (i.e., women + men of minority racial/ethnic groups) and 26 undergraduate students from well-represented populations in computing (i.e., Asian + White men) who had recently completed a summer NSF research experience for undergraduate students (REU) reported (a) how collaborative their REU had been and (b) interest in pursuing a research career later in life. Well-represented students reported strong interest in a research career, regardless of the degree to which their REU was collaborative. 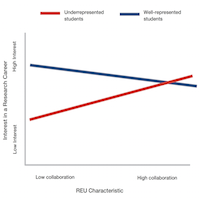 However, underrepresented students’ interest was related to the collaborative nature of their REU, such that experience with a more collaborative REUs was associated with more interest in pursuing a research career later on. This finding suggests that collaborative research environments in computing may be more important for underrepresented students’ persistence in computing research careers than is the case for well-represented students. 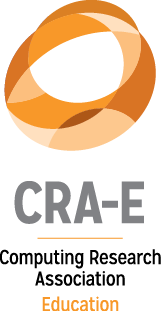 The Education Committee of the Computing Research Association (CRA-E) has launched its website: http://www.cra.org/crae. 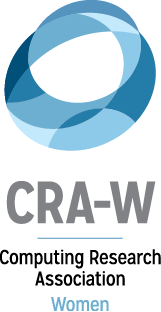 CRA-E’s mission is to address society’s need for a continuous supply of talented and well-educated computing researchers by providing resources to inform, assist, and guide the computing community. Increasing the number of US students entering graduate school and receiving a Ph.D. in computer science is a goal as well as a challenge for many US Ph.D. granting institutions. Although the total computer science Ph.D. production in the U.S. has doubled between 2000 and 2010, the fraction of domestic students receiving a Ph.D. from U.S. graduate programs has been below 50% since 2003. In this article, the Pipeline Project of the CRA-Education Committee (PiPE) provides an initial examination of the baccalaureate origins of domestic students who have matriculated to Ph.D. programs in computer science. In the summer of 2008, Andries van Dam from Brown University convened the CRA-E committee – the Mark I committee as it has become known. Mark I was a panel of world-class computing researchers and educators who were asked to identify and recommend best practices for preparing undergraduates for research careers in computing. 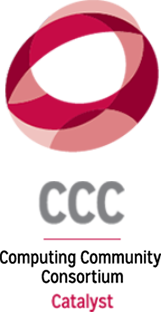 A summary of their findings and recommendations appears elsewhere in this issue of Computing Research News.